Our weather in WY has finally started to feel ever so slightly spring-like (spring-ish?). Trying not to get my hopes up too much, but I am so excited to see anything green and brave enough to grow in our cold spring weather. I’ve been dreaming about having a greenhouse for a long while now. What is it about them that is so charming? 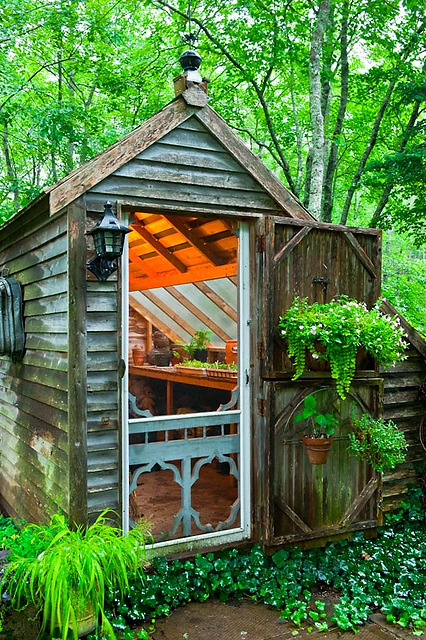 Aside from their charm, a greenhouse would extend our growing season nicely. What with the windy/snowy/cold springs and early fall frost/snow and all. These are a few of the beauties I’ve been drooling over pinning to my greenhouse board. You can see my Pinterest board HERE. There are less expensive and less permanent greenhouses and kits available at Amazon, too! These two caught my eye this week. But there are many more sizes and styles to choose from. Sadly, though, one of these lovely greenhouses probably is not in my budget this year. Sigh. But I can still dream... You never know what God might do if you dream big, right?